Very cool dashcam. The dual lens really helps keep track of the road and my car's backseat. The built-in LCD screen is a great addition since you can easily configure the device and preview while on the road the recorded video. Hope it would have It would have been great if it was a touchscreen. The night vision of this camera is not clear not after troubleshooting. I'm not satisfied with the video quality. It's so-so. 1. 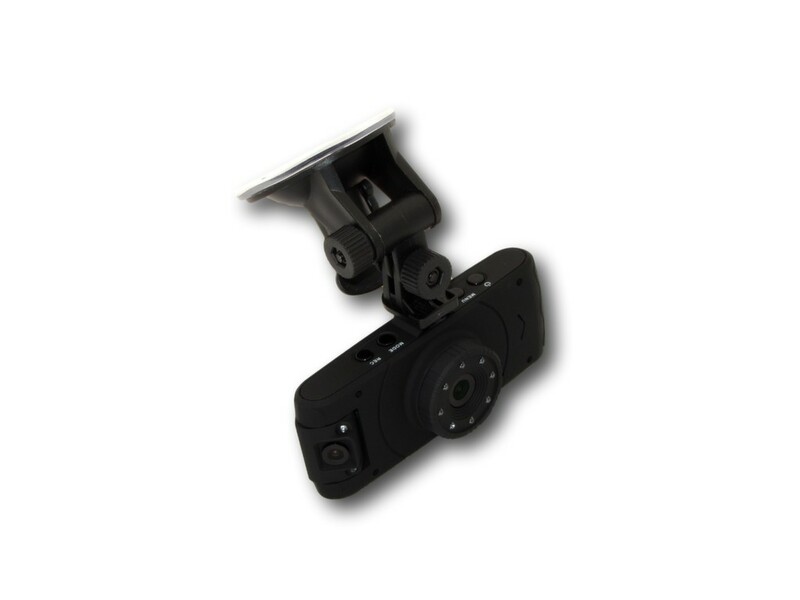 Both sides of the camera are equipped with 720p H264 camera plus infrared for night vision recording. 2. Compact small designed - does not distract you when driving specially at night. 3. Integrated 2.7-inch HD LCD screen for easy camera configuration and on-the-fly random video preview. 4. When accident occurs resulting to power lost or just when the cigarette plug gets disconnected the camera has a buffer power that can be used to continue recording. The camera uses its buffer power automatically. Pound-for-pound, this is the best dual camera you can buy on the market. I've invested in others & I haven't found another camera that has lasted as long. I highly recommend this product. Works great at night, I am a cab driver so this has helped alot with safety and so onn. I can protect the passenger while still protecting myself. The side lens is easy to rotate giving you great advantage in recording. It can easily be adjusted even while driving. A+ product. Great product from a great company. It's my first time buying products from them and it works. Fast free shipping, too. The camera looks like it is made from good material and is durable plus it does not look like any cheap car camera in the market. Both of the lens works great, the two lens recorded clear video even if they are recording at the same time. Did a playback using the LCD screen and I'm impressed, it played well, very clear and no bouncing. It's always turned on whenever I go driving with my kids and wife, my kids love recording videos with it. I drive a taxi cab and sometimes I often have passengers who are drank and ill-mannered so this camera is really a big help in cases where some passengers claims that were maltreated or harrassed when they rode my taxi. I have experienced quite a few of those complaints and even if you didn't do it, it's hard to prove it. It's also a road security for me just in case accidents happen I have a proof that it was not my fault or not all my fault using the video recorded from this camera. This camera is really worth my money.